Congrats! Your diligent practice pushing off and tick-tacking have made you feel more and more at ease on your skateboard! So, let’s try the “Manual” next! The standard Manual is a technique by which you maintain a forward momentum while balancing only over your back wheels. The trick becomes moot if the tail of the skateboard touches the ground, as the trick itself is one of balance. 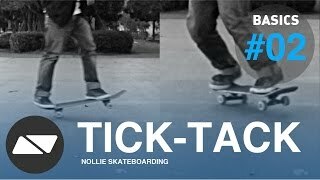 Unlike the tick-tack, the manual is a technique that can be impressively incorporated into many trick routines, i.e. kickflip-manual-180 out. The combination possibilities are near endless. 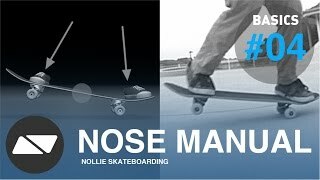 Further, the manual is a very effective form of training to improve your sense of balance on your skateboard. Here is a guide for how to manual. The key to a long lasting manual is to keep your body centered over the board and to be mindful of distributing the pressure of your weight evenly across both your feet. 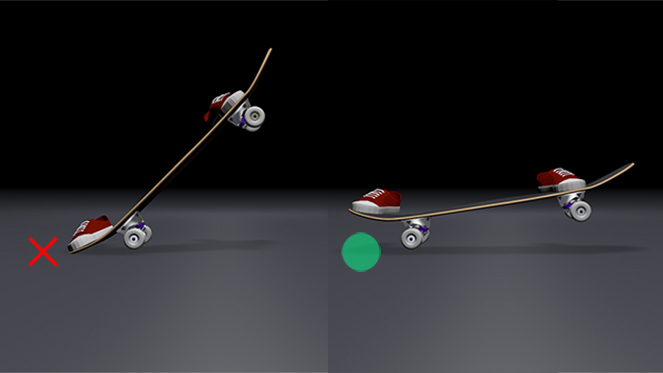 While it is true that your back foot will be pressing down so as to lift the nose and front wheels off the ground, once that position is achieved it is important to maintain a roughly equal amount of pressure over the front foot so as not to let the tail of the skateboard touch down. Your back foot should be on the edge of the tail, as you will be applying pressure mostly with your toes and the ball of your foot. Your front foot should be roughly where the front hardwares are, over the trucks. Find where you feel most comfortable. Keep your eyes continuously focused roughly a foot ahead of your position as you learn to perform a manual. What’s the simplest approach? Keep your focus on your front foot. Focusing on the amount of pressure applied to both feet at the same time is a waste of mental energy. All you need to focus on is adjusting the pressure you apply to your front foot! As with the majority of skateboarding techniques, keeping the position of the body centered over the board is necessary for a long, steady manual. Practice being aware and focusing on the position of your head. Practice getting used to keeping your head steady just above the area where your front foot is controlling the manual! Above are the two main keys for long, steady manuals. The proportion of applied pressure to your feet and the steady balance of your weight (practiced best through mindful awareness of the position of your head throughout). You will learn to support yourself further by using your shoulders and arms, which will serve you in the same manner as the poles used by balance beam walkers. As mentioned earlier, practicing every aspect of a trick at once right from the onset is difficult. Familiarize yourself with the different elements of a trick, and keep practicing! Perhaps the most effective training for manual-ing is setting distance goals. The first distance goal should be very brief, something like 3 feet (1m.) 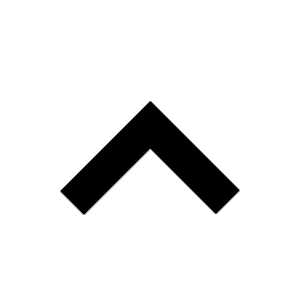 Once such a distance goal becomes simple, set your goals further and further apart. When keeping your balance during a manual becomes a more and more familiar feeling, try keeping your eyes focused further forward to make your manuals steadier over longer distances. Q : "How to Ollie (to) Manual?" The key to an Ollie (to) Manual is being ready to manual as you descend from the apex of your ollie. If the position of your feet and your mental preparedness to distribute weight are those of a manual right before landing, you can land in manual and keep it going in like manner. The idea is the same whether for ollie to manual or kickflip to manual or any other trick to manual. Naturally, the more difficult the trick, the more difficult it is to land it and continue it in manual. 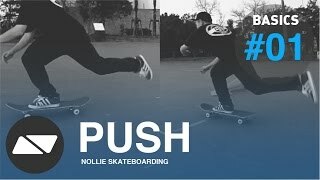 Q : "How to Manual (to) Ollie?" To do tricks out of manual, you have to be able to adjust your stance into ready position during manual, then generate enough power to pop the tail while maintaining your balance. Not easy. Right before performing your out trick, apply a slight increase in pressure to your front foot to generate a sufficient tension for an effective pop to the tail. Keep practicing your balance during regular manuals, because you can’t ollie or trick out of a manual without a great sense of balance during manual. Good luck! These pro skaters are legendarily well known for their skills in and out of manual. Enjoy!